A set of 2 personalised aluminium metal cards, lovely keepsakes for your wallet, one for you and one for your other half. 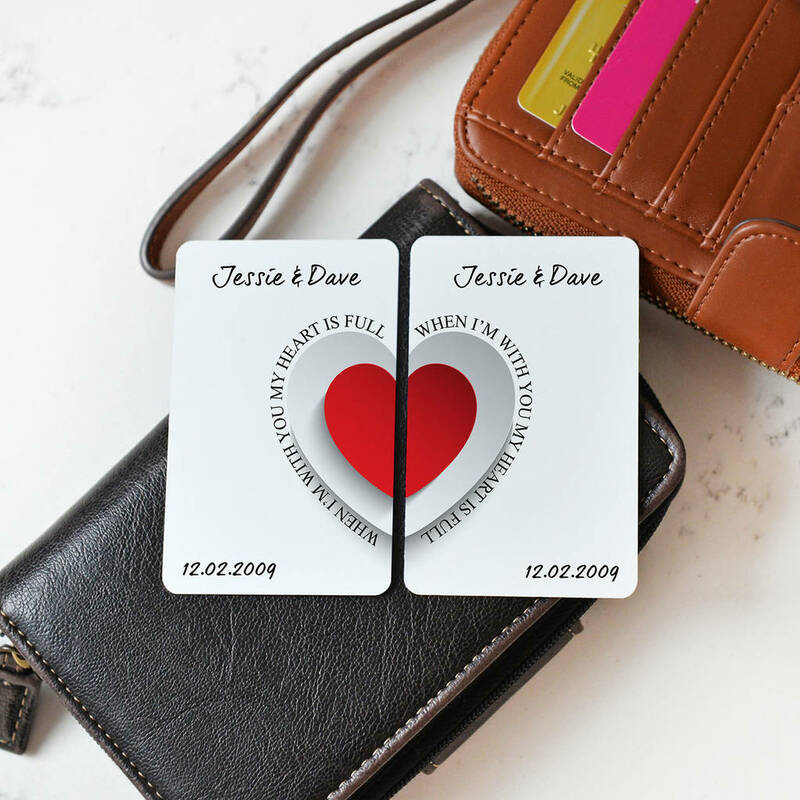 When the 2 cards are placed together, the whole heart graphic is shown. Keep half the heart each so you know your hearts belong together! The text around half the heart reads: "When I'm with you my heart is full". We will add your names above the heart and your special date below the heart. We will then add your own photo on the other side of the metal card. Both cards will be the same. 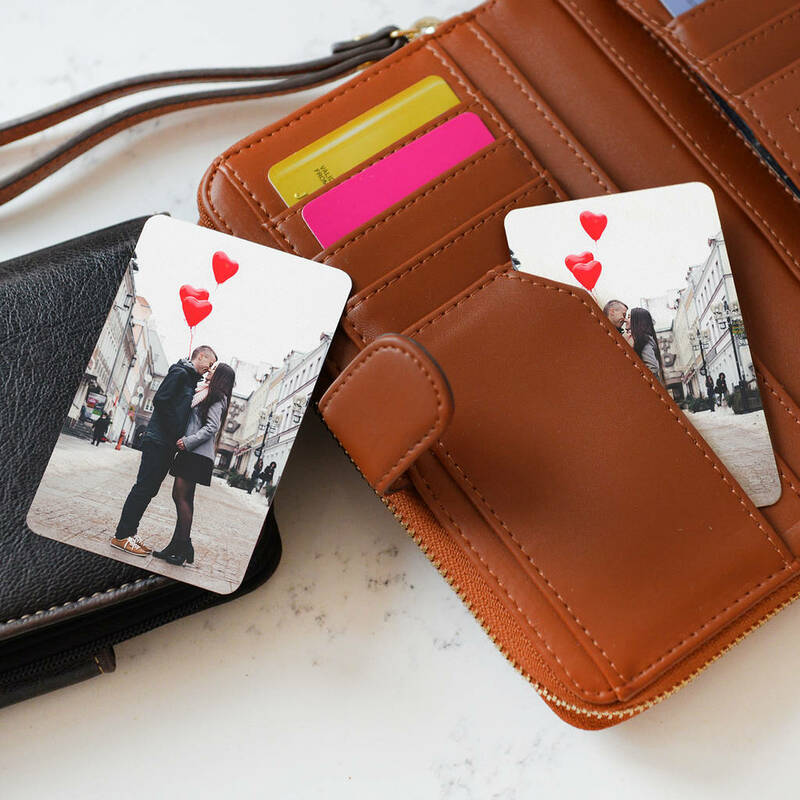 These personalised metal cards are the same size as a business card and will fit perfectly inside your purse or wallet. 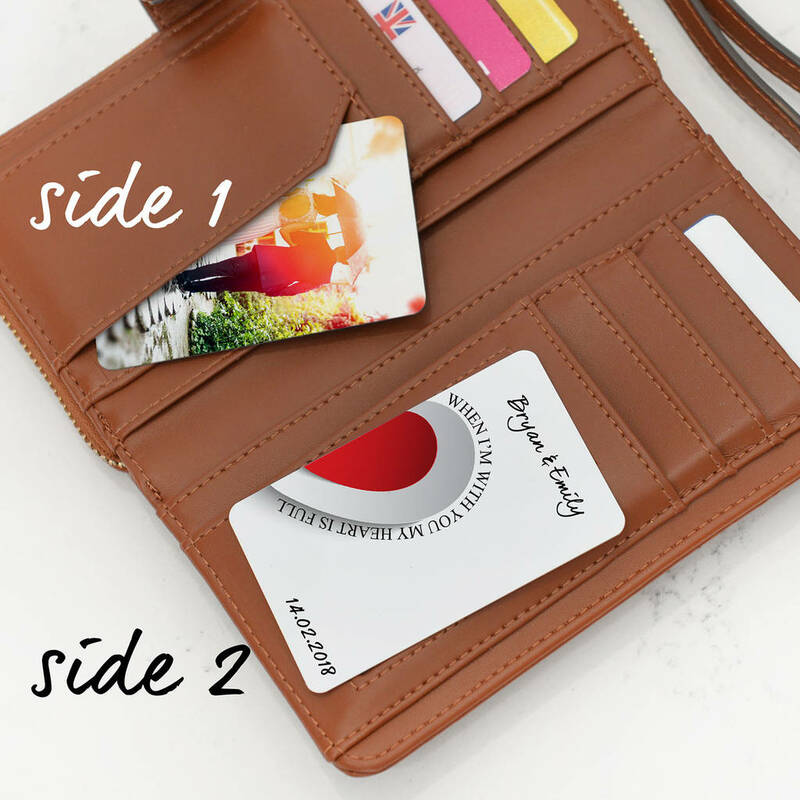 The finished print quality of your metal photo card will depend on the quality of the image you supply (i.e. if you picture is blurry or a low resolution web image this will reduce the print quality of your finished item).